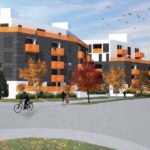 It looks like the West End is about to become even more pedestrian-friendly. 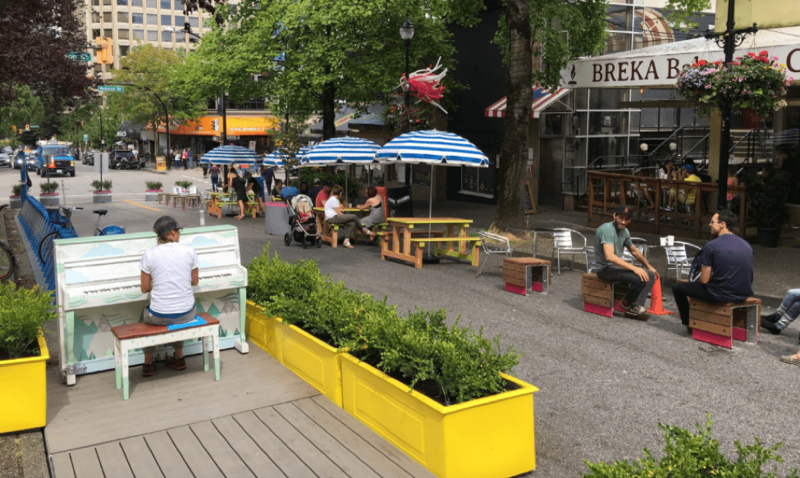 After a unanimous vote of approval last week, plans are moving ahead to make the City of Vancouver’s trial plaza at Bute and Robson a permanent fixture in the community. 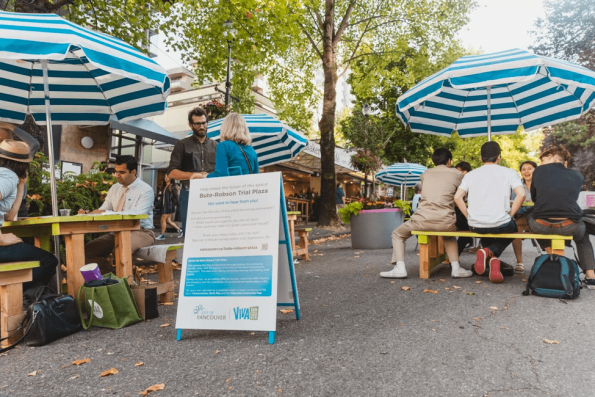 The public space opened as a three-month trial this past July, as a coordinated effort between the City’s public space arm, Viva Vancouver, and the Robson Street Business Improvement Association. It resulted in the closure of Bute Street for half a block, south of Robson Street. The trial plaza today includes a Mobi bike station, several types of movable tables and chairs, bike racks, planters, and a public piano. 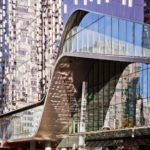 City officials had expected the project to be successful, building on the popularity of the recently opened Jim Deva Plaza at Davie and Bute Street. 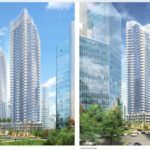 Indeed, residents have been overwhelmingly in support of the plaza, according to a survey carried out this fall that helped inform council’s decision. Concerns harboured by residents mostly focused on traffic impacts resulting from the road closure. Preliminary traffic analysis from the City however suggests that traffic impacts to nearby residential streets have been minimal. 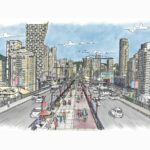 An added benefit is that vehicle movements have been significantly reduced along Bute Street and Haro Street, both of which are greenways under the City’s Transportation Plan. 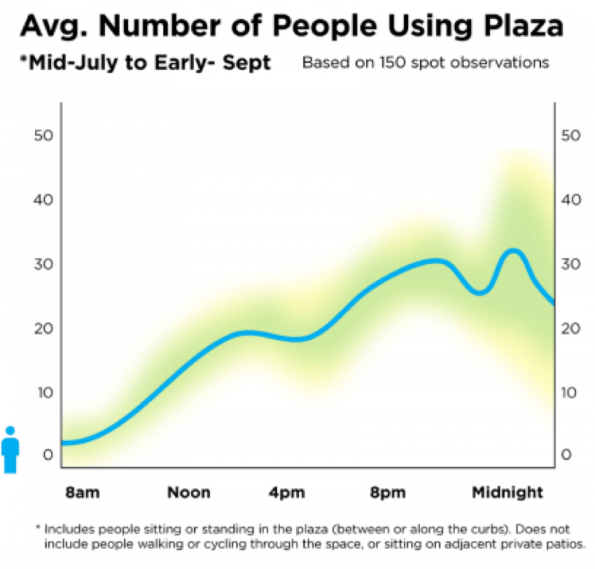 Interestingly, the plaza has been most popular in the later hours, with the highest numbers of plaza users recorded around midnight on summer evenings. 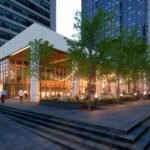 This is likely due in part to the popular 24-hour Breka Bakery and Café, which directly faces the plaza on its east side. Design work has not yet started for the permanent plaza, but it is expected to kick off in the new year. 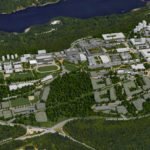 Construction will be funded through contributions from development in the area. In the meantime, however, West Enders don’t have to worry about the trial plaza disappearing. The City has opted to keep the trial setup until the permanent plaza is built, with a promise to improve maintenance and bring new activities for the winter months.